Mitotic count assessment in breast carcinoma can be a considerable challenge especially when involve with algorithm development. The challenges lie within the hyperchromatic nucleus segmentation that served as a fundamental block in mitotic count assessment. In this study, we proposed an improved initialization based histogram of K-Mean clustering algorithm for hyperchromatic nucleus segmentation in breast carcinoma histopathological images. The focus is to segment the hyperchromatic nucleus from the background using K-Mean clustering algorithm. Conventional initialization method for K-Mean clustering was improved by establishing a relationship between the hyperchromatic nucleus and the intensity histogram. 75 images captured from 15 histopathological slides were used as dataset. The overall Sensitivity in ground truth segmentation of the proposed method was found to have a percentage of 100.0%. The values of precision (AreaPre) and sensitivity (AreaSen) in mitotic cells area segmentation were found to be promising with percentages of 95.2% and 89.2%, respectively. The promising results perhaps could be used to enhance performance of the true mitotic cell detection. 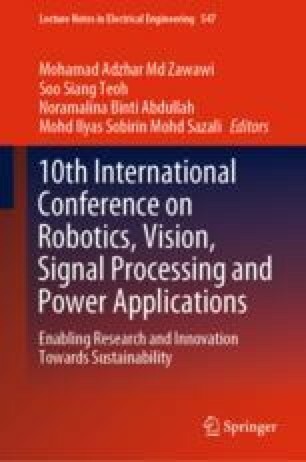 The authors would like to acknowledge the support from the Fundamental Research Grant Scheme (FRGC) under a grant number of FRGS/1/2016/SKK06/UNIMAP/02/3 from the Ministry of Higher Education Malaysia. The protocol of this study had been approved by Medical Research and Committee of National Medical Research Register (NMRR) Malaysia (NMRR-17-281-34236).